The Rockport walking test is an evaluation you can self-administer to determine your cardiovascular fitness. The aim of the test is to measure your VO2 max, the maximum amount of oxygen you can utilize during intense exercise, measured in milliliters per kilograms per minute (ml/kg/min). The Rockport walking test was developed in 1986 by physiologists and cardiologists at the Department of Exercise Science in the University of Massachusetts at Amherst. You would also need something to measure your heart rate. 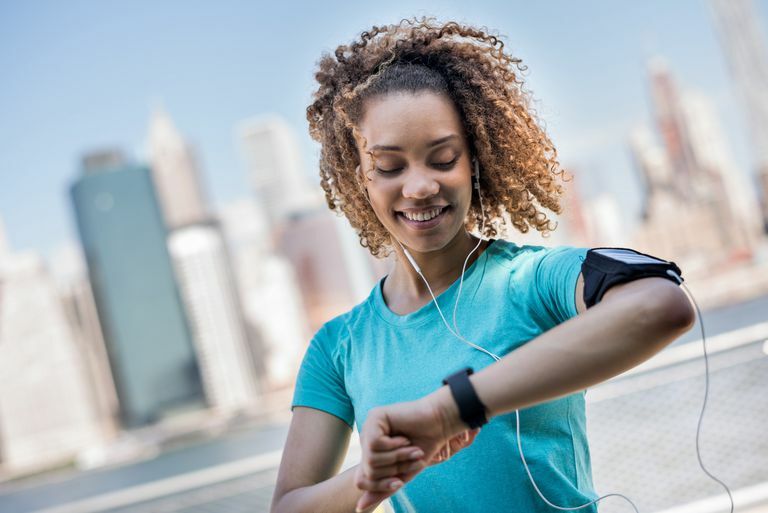 You can either take your own pulse, purchase a heart rate monitor, or use a fitness tracker, like the Fitbit Charge, that has both a heart monitor and stopwatch function. A 2011 study published in Military Medicine concluded that the Rockport walking test compared favorably to the Air Force 1.5-mile running test in assessing cardiovascular fitness. Because it is less strenuous, the Rockport walking test may be more appropriate for adults who are older, overweight, or sedentary. To take the Rockport walking test, you will need to find a level, one-mile course. High school tracks are usually ideal. For most of these tracks, four laps around the innermost lane equal one mile. You can also use an online mapping app to measure out a one-mile course on an unobstructed path or walkway with no stop signs, ditches, barriers, or elevation. Even a rise of 3 percent can alter the outcome of the test. Warm up for five to 10 minutes with light stretching. Start your stopwatch and immediately commence walking as fast as you can. Make every effort to push yourself, but avoid speed walking or power walking. At the end of the one mile, stop your stopwatch and record your time in decimals. For example, 11 minutes plus (30 seconds ÷ 60 seconds) = 11.5 minutes. Take your heart rate immediately. If taking your own pulse, count the heartbeats for 15 seconds and multiply by four. For example, if there are 40 heartbeats in 15 seconds, your heart rate would be 160 beats per minutes (bpm). Rounding off to the first three digits, your VO2 max would be 51.5 ml/kg/min. If you are comfortable with long math, there are a number of online calculators you can use that allow you to plug in the individual values. The results can help your doctor or personal trainer design the appropriate fitness plan based on your exercise tolerance. The Rockport walking test can also be used to track your progress every couple of months to see if you have improved. The Rockport walking test is a valuable tool for anyone wanting to approach exercise safely, especially those who are out of shape or have physical limitations. It provides you a baseline from which improve and should not discourage you if the value is low. By steadily increasing the duration and intensity of your workouts, your fitness will improve and, with it, your VO2 max. When first starting, don't go all out and exercise at 100 percent of your VO2 max. Instead, start with low-intensity exercise (20 to 39 percent) for the first few weeks and gradually intensify to a moderate intensity (40 to 59 percent). It often helps to work with a personal trainer who can help you design a fitness strategy with specific goals and timetables. Kline, G.; Porcari, J.; Hintermeister, R. et al. Estimation of VO2 max From a One Mile Track Walk, Gender, Age and Body Weight. Med Sci Sports Exerc.1987 Jun;19(3):253-9. Weiglein, L. Herrick, J.; Kirk S.; and Kirk, E. The 1-Mile Walk Test is a Valid Predictor of VO2max and iI a Reliable Alternative Fitness Test to the 1.5-Mile Run in US Air Force Males. Mil Med. 2011 Jun;176 (6):669-73.